Critical Linkages Photographer Carlton Ward, as seen by Joe Guthrie on the Florida Wildlife Corridor Expedition. “There are two untold stories of Florida, that of the black bear and that of the cowboy. They rely on each other and the same landscape to survive. If it wasn’t for the proactive stewardship of [Florida’s] ranchers certain bear populations would not exist.” Critical Linkages Photographer Carlton Ward calls Florida’s Cowboys the “Keepers of the Last Frontier.” In a state in which 2/3 of the population is from another state or another country, these generations of ranchers tell the genuine story of a Florida untouched by golf courses and beach resorts; places where humans recognize the need for conservation of a landscape, for the animals and themselves. Within the Big Bend Swamp-Holopaw Ranch, Carlton’s Critical Linkages assignment, sits Camp Lonesome, a perfect example of this stewardship. Owner Carlos Vergara and his partners designated a portion of the property as a county park, and are leaning towards conservation easement for the rest of the property. Coincidentally, Carlton’s work over the past six years focuses on telling the story of Florida’s cowboys and their relationship with the land and wildlife. Carlton’s connection with ranching is a lifelong tale; his family owns a ranch in Limestone, just seventy miles inland from Clearwater, where he grew up. In 2004, Carlton began development of a project in which he would tell the heritage and environmental story of Florida’s Cowboys. 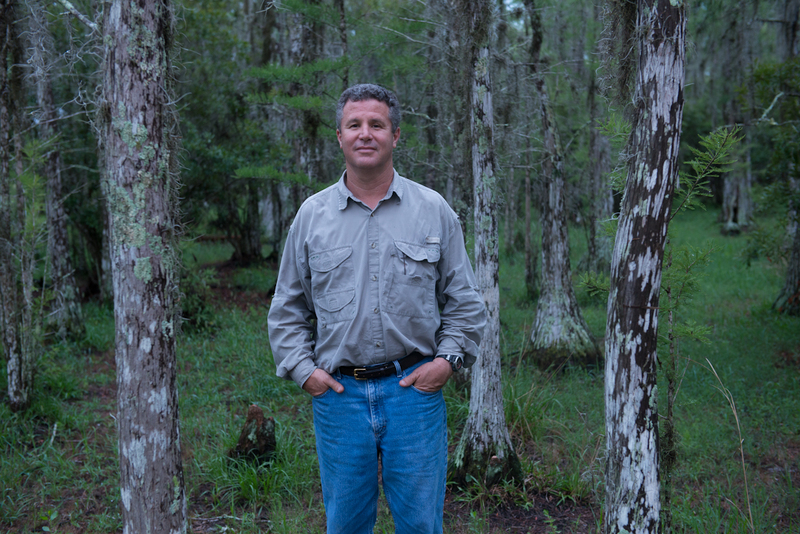 Of his time in the field, Carlton explains, “I really enjoy spending time with landowners and ranchers like Carlos Vergara who are committed to creating a conservation legacy.” For Carlton, Florida’s cowboys are as much a part of the conservation story as the land and animals. Since he developed an interest in biology and anthropology during his undergraduate studies at Wake Forest University, Carlton searched for a way to combine his interest in human stories and those of nature. He went on to study ecology in a master’s program at the University of Florida. There he further developed his photography skills through photojournalism courses. While this added just one more interest, Carlton never wanted to focus on just one of his passions. “You can never separate your background and experience from your art. It’s always there with you.” Carlton combines his interests by allowing his scientific background to guide the focus of his photography projects. Almost as if in coordination with his interests, the Big Bend Swamp-Holopaw Ranch is unique because of its cowboy stewards and also because it provides a watershed connection: “it is a transition landscape, right in between the headwaters to the Everglades and headwaters to the St. John’s river.” In addition to providing drinking water to 7 million people, the Everglades watershed, which begins up by Orlando, is the water source for the Everglades and Florida Bay. 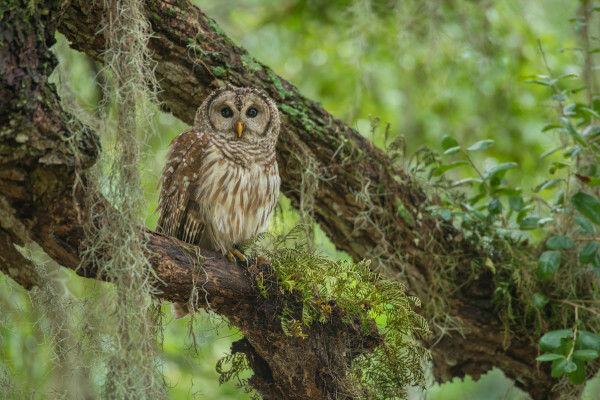 Critical Linkages Photographer Carlton Ward discovers an owl taking shelter from the rainstorm he found at Camp Lonesome Ranch, a section of the Big Bend Swamp-Holopaw Ranch. Carlton visited the site while on the Florida Wildlife Corridor Expedition. When he returned to shoot photographs specifically for Critical Linkages, he was looking for cypress groves, “the gathering places of wetlands.” However, in the rain storm that greeted him he focused on other aspects of the landscape. “It’s really neat to stand in a what seems like a flat prairie of palmetto and pine trees with cypress swamps on the horizon, and know that the rain that falls on this property either moves towards the Everglades or towards the St. Johns River. It’s our crown of the continent if you will.” Although he ended with pictures different from what he originally imagined, nature offered him a view of the multiple connections provided by his Critical Linkage. 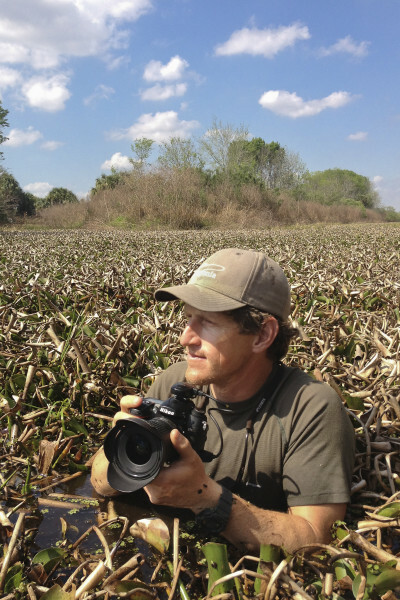 In addition to contributing to the Critical Linkages project, Carlton Ward is the founder of LINC and the Florida Wildlife Corridor Expedition, an author of several books, and a contributor to many projects and magazines. To learn more about him, and view his work and accomplishments visit his website or follow him on Facebook. For information specifically on the cowboys and ranchers of Florida’s wild spaces, click here.